After registering at the above link we will email you a detailed schedule and additional information. 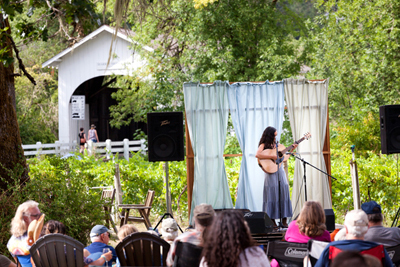 HARRIS BRIDGE SONGWRITING CAMP: A retreat exploring songwriting, folk music, community, nature, and how they all intersect. 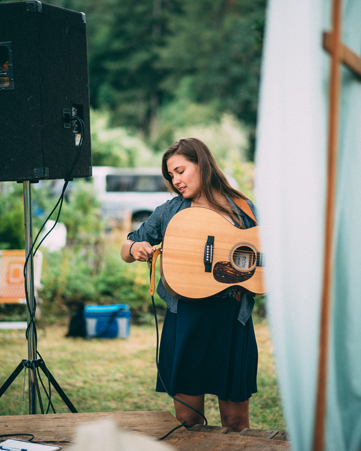 The 3-day camp includes workshops, small-group song swaps, co-writing opportunities, 1-on-1 time with instructors, as well as plenty of opportunities for jamming, writing, and exploring the gorgeous Harris Bridge area’s hiking trails, vineyard, river, and swimming hole! 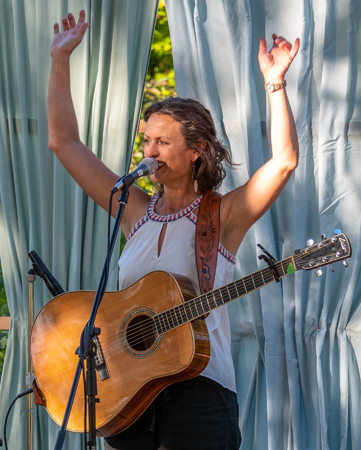 This is a welcoming and non-judgmental community where songwriters at any stage of experience can come and be inspired, connect with their creativity and to the land, and have the time and space to write, reflect, and play! WHO ATTENDS AND HOW MANY? All levels of writing and musical experience are welcome. What matters most is that you are a great appreciator of music and people and the outdoors. Most songwriters play guitar or keyboards, but songwriters can also work acapella and on a range of other instruments. All genres are welcome. Note, all under 21 years of age must be accompanied by an adult due to the host site being a winery/vineyard. Attendance is capped at 25 guest participants. OUR INSTRUCTORS: Beth Wood and Clara Baker have decades of experience writing songs, teaching, touring and performing professionally. They will lead guided workshops and small group classes, and can also offer 1-on-1 song feedback, guitar and vocal mini-lessons, and more. OUR SCHEDULE: Check-in begins on Tuesday at 10am. Participants set up and get to know one another the first afternoon, followed by dinner and a campfire song circle. Each morning we meet as a group for guided writing exercises designed to stimulate creativity and generate ideas. Afternoons are free time - you're free to write, collaborate with other participants, or just enjoy the natural site and surroundings. Each early evening we will meet in small song-circles. After dinner we gather around the campfire to share songs. The camp ends on Friday morning by 11am, after breakfast and a closing gathering. All guests are invited to stay as complimentary guests for the Harris Bridge Folk Festival, or we can see you safely on your way on Friday, just let us know your desire at the time you register for the song camp. TUITION FEE: Tuition is $295 and includes the following. A spot for tent camping and/or vehicle camping (RV availability is limited). Three meals daily from Tuesday Aug. 13 dinner to Friday Aug. 16 brunch (8 meals). Access to hiking trails, and the swimming hole on the Mary’s River. 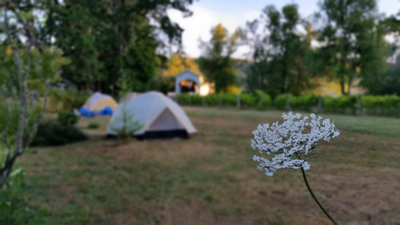 OUR LOCATION: The camp is hosted by Harris Bridge Vineyard, on a 4 acre patch of paradise, located right in the heart of Harris Valley, Oregon, just West of Corvallis. 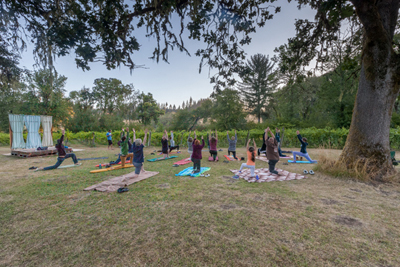 The site includes a beautiful winery and tasting room, camp sites, 3 separate fire circles, and two distinct places to dip toes into the Mary’s river to restore after long day. It also includes access to hiking. 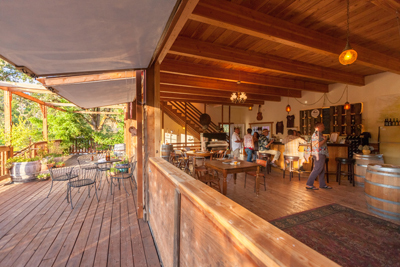 The site is a 2-hour drive from Portland, and a 1-hour drive from Eugene. OUR ACCOMMODATIONS and FOOD PROVISIONS: Most participants camp in tents or vehicles. We also have a limited network of friends who host guests in their homes. If you would prefer to be set up in a home, please contact us at harrisbridge@yahoo.com and we will attempt to connect you with a host (may involve additional cost). The camp is an outdoor experience: all classes, song circles and meals are outdoors. 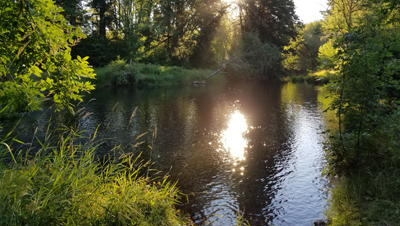 Weather is most often beautiful in August, but it can be cool in the evenings and possibly even rainy, so campers should come with enough clothes to keep them warm and dry. We'll provide three delicious meals a day, beginning with dinner on Tuesday through brunch on Friday. Vegetarian, vegan and gluten-free options are available. Please let us know of any food allergies or restrictions when registering. 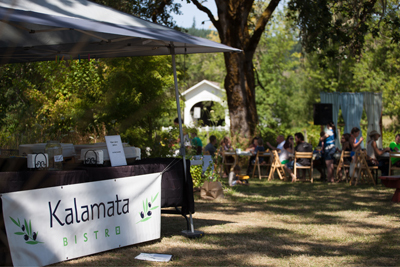 Self-service tea and coffee is provided, and beer and wine will be available for purchase through the tasting room all day long. If you have any other questions, please let us know by contacting Nathan and Amanda (Owners of Harris Bridge) at harrisbridge@yahoo.com.